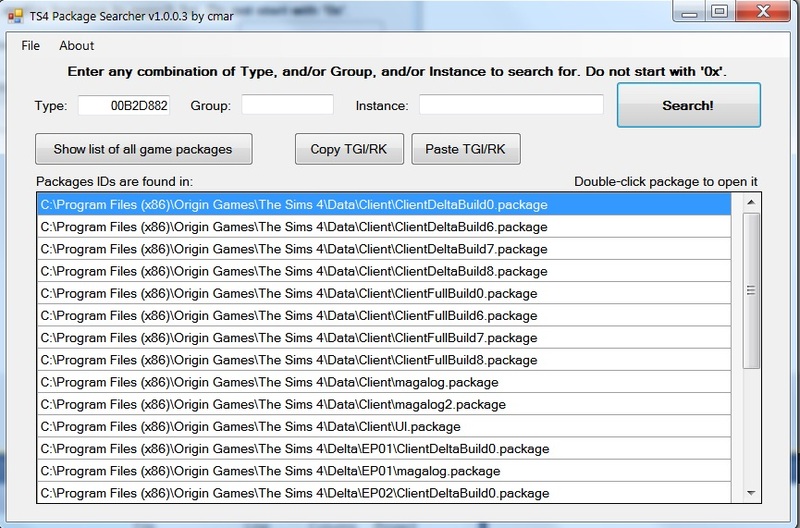 This is a little tool to enable users to find resources in the TS4 game packages. 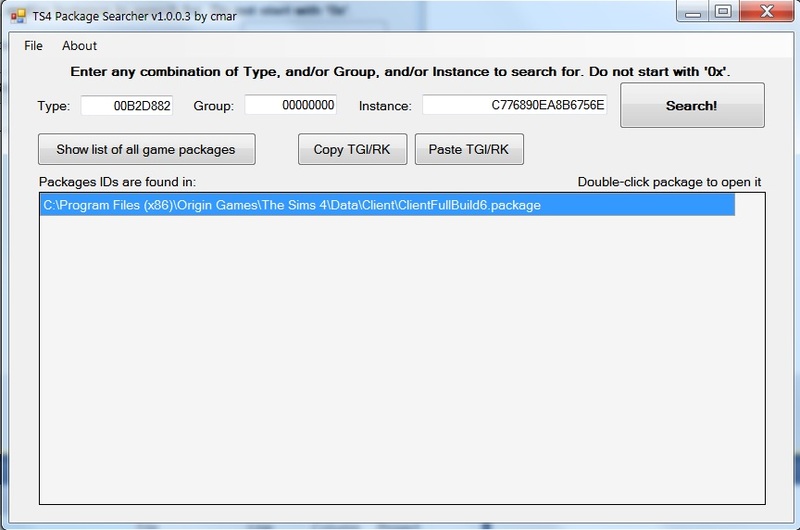 You can enter any combination of Type, Group, and/or Instance ID - for example you can enter a full TGI (type, group, instance) to find which packages it's in, or you can enter a Type ID to find which packages contain that type. Although it can be used alone, the tool is designed to easily interface with s4pe. You can double-click one of the game packages your search has found, and it will open in s4pe. 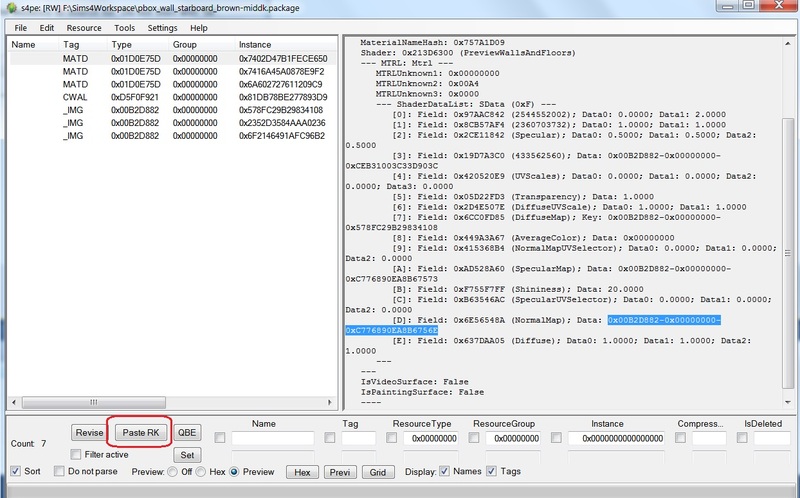 (Assuming you have s4pe and have it associated with the .package extension. If not, you'll get the standard Windows dialog asking you what program to open the file with.) You can also easily copy a TGI from an s4pe display and paste it into the Package Searcher; and copy a TGI from the Package Searcher and paste it into the s4pe filters using the 'Paste RK' button. Many thanks to Inge Jones and Plasticbox for requesting this tool, and for several useful suggestions.